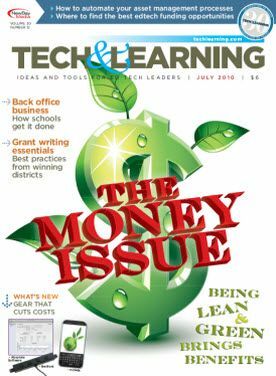 Faced with steep energy costs and shrinking school budgets, cash-strapped IT directors are discovering that going green is not just good for the environment; it’s good for the wallet. In 2009, the Web site Grant Wrangler (www.grant wrangler.com) listed more than $166 million in grants and awards for K–12 schools and the people who work in them. Learn how four districts turned their tech wishes into reality. With all the things your IT department does, keeping track of your district’s computers, along with their OSs and software, shouldn’t be an added burden. Thanks to asset-management software, it isn’t. • Did you go to ISTE this year? Whether you’re successful at securing your grant or not, once you’ve completed the proposal, your real work is about to begin.